Barely a day goes by in Australia without the toxic renewable energy debate rearing its ugly head. Depending on who you ask, renewables are either the cause of, or the answer to our so-called “energy crisis”. Now I don’t want to delve too deep into this polarising debate for fear of irreversibly damaging my brain, but to me, it seems rather obvious that a rapid transition to clean energy should be a priority for this country. Not only will this provide the jobs and investment we continually bang on about, it will also help us meet our measly targets set in the Paris Climate Agreement. But to achieve this transition, renewables need to overcome the energy storage hurdle. 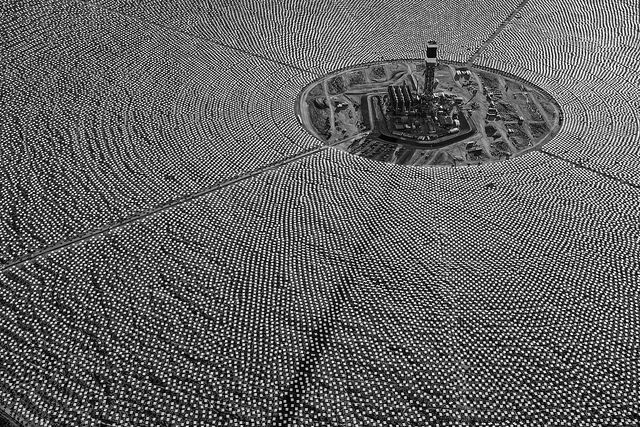 While using batteries to store renewable energy is getting a lot of press right now, another storage option arguably shows even more potential to solve this conundrum – concentrated solar thermal. 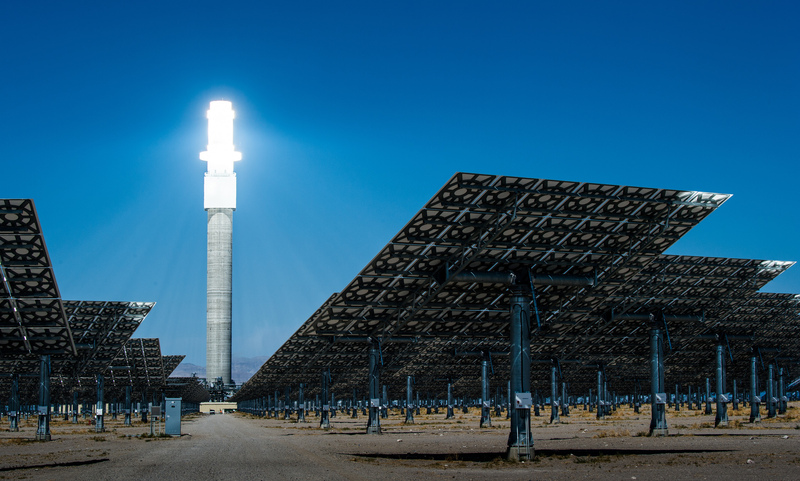 What is concentrated solar thermal power? Concentrated solar thermal (CST) is different to photovoltaic solar (solar PV) which is the technology you might find on your eco-friendly neighbour’s roof. Solar PV technology uses sunlight to directly produce electricity through the transfer of electrons. Check out this short video for a simple explainer of this process. While CST also uses the suns energy to generate power, it does so indirectly. This is the thermal aspect of CST. It uses the heat from the sun to warm a fluid like water, oil or molten salts to a few hundred degrees Celsius. This fluid is then used to create steam which spins a turbine and generates electricity. But “a few hundred degrees Celsius” is really hot. The sun doesn’t produce temperatures that high anywhere on earth, even though I swear my insulation-less share-house bedroom must go close in summer. To reach these extreme temperatures sunlight must be concentrated. Remember when you were a kid and aimed the light reflected from your watch into the eye of an unsuspecting mate? Don’t deny it, it was such a classic gag. Now imagine doing the same but on a massive scale, with thousands of your buddies joining in. The sunlight would become concentrated to such a degree that your poor (and probably ex) friend’s eyeball would be incinerated. A concentrated solar thermal plant works on these same principles, except instead of watches and eyeballs, sunlight is directed at a central tower from reflecting panels covering an area of few square kilometres. Using heat and not light to generate electricity is the key to CST’s ability to store energy. If the fluid used to absorb heat is properly insulated, it will lose heat very slowly – much like your thermos full of tea. This means that even after the sun has gone down, stored heat can be deployed to generate steam to produce electricity. CST technology is continually developing new techniques to increase its energy storage capabilities. An exciting example of this innovation is using sand rather than salt or water to absorb heat. This technique is explained in depth in Tim Flannery’s new book Sunlight and Seaweed. I am optimistic about the future of CST technology. With further innovation and investment, concentrating sunlight has the potential to become a major asset as this sunny country of ours transitions to a clean energy future. Previous Previous post: Mum was right: go outside and get some fresh air! Well written piece Alex – definitely remember shining the watch face in the face of many mates. Maybe the reason people haven’t caught on to this technology is because phones have phased out watches as the main way we check the time?? Great post Alex… super informative, I didn’t even know CST existed before I read this. Really well written and easy to understand! Hopefully this technology becomes a priority in the development sector as it seems like it could really help the clean energy transition in Australia. Hey Sam. Wow thats’s really exciting. I will definitely be following how those projects develop. Thanks for the heads-up. Hi Julian. Thanks for the comment. I’m by no means an expert on this stuff but I would imagine this depends a lot on what fluid/material is used to absorb heat. In Sunlight and Seaweed, Tim Flannery suggests that in the new CST plants that use sand to store heat it can remain hot for days without much loss. There is some interesting information about this technology here. I think the answer to your other question will become apparent with more research and development in this technology. Interestingly, investment in CST has slowed because there solar PV and wind are becoming so cheap! I definitely think it has the potential to remove the need for some of our polluting coal plants though. Interesting primer on CST! Do you know what the “half-life” of the energy stored in the heat bath is? I.e. just how quickly does it cool down: the difference between a day and a week is pretty big I feel for this sort of technology. Also interesting to think about what the power output of this big “battery” is – could it compare to a wind farm? What about a coal, or nuclear plant? Having a storage system like this would be great to eliminate the need for the non-renewable plants that are turned on and off to supplement the renewable power in times of heavy load (or at night). Nice piece Alex; like you, I’m really excited about CST but it still has a long way to go to be competitive with other renewables on price. But it must be getting there – China has announced a 2000MW plant to be built in the Gobi, and there’s another 2000MW plant announced for Nevada, USA. That’s more than 10x the one planned for Port Augusta (150MW). Fascinating post! I had no idea that alternative solar technology existed. Loved the watch analogy- it really helped me get an idea of how CST works. I’m not really sure about the efficiency of the two technologies. It is hard to directly compare since they are actually quite different. I’ll try find out! Super informative post, I had no idea this existed. How does CST compare to PV in terms of efficiency?